This is the core of our program at Pure PHIT. Always led by one of our experienced Coaches, you'll find the small group setting will provide you with all of the instruction and encouragement you need. 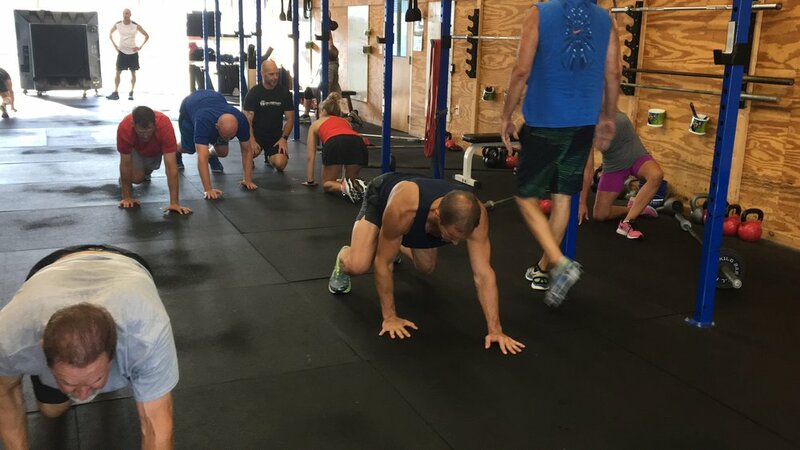 Your time spent in these classes will allow you to develop the proper technique and mechanics in Mobility Training, Functional Movement, Basic Powerlifting and Bodyweight Movements. Our Coaches take all of the guess work out of exercise for you. The program will be written for you and the proper progressions or regressions of any movement required of you will be prescribed specifically for you. All of our new members will begin their Pure PHIT journey with our Foundations Program. You will spend 5 sessions in a individual or small group (no more than 3 participants), working on technique and addressing any existing limitations or injuries. To often we find people jump into a new workout setting either TOO FAST or with INADEQUATE INSTRUCTION. In these settings not only will you being to establish a relationship with our coaching staff, but our Coaches will help you to identify any limitations that may prevent you from feeling successful or even result in injury. This is our way of establishing a SOLID FOUNDATION FOR LONGTERM SUCCESS. This is our dedicated Youth program at Pure PHIT, designed for kids ages 12-18. Wether the participant is an aspiring athlete or just interested in learning more about the world of health, fitness and exercise, this small group class is the right fit. Our goal in these classes is to provide young kids/athletes with the proper instruction and guidance to begin lifting safely at whatever age they are ready. We offer Personal Training as well as Small Group Personal Training. While we feel the majority of people who come to Pure PHIT will not only be comfortable, but also satisfied with the Group Class setting, there are always reasons that still exist for a little bit more personal attention.